What’s not to love about Switzerland? The tiny alpine nation located smack dab in the middle of Europe is perfect proof that one should focus on quality not quantity. Switzerland offers exceptional diversity for luxury travellers, featuring some of the continents poshest hotels, finest wines, most decadent culinary experiences (chocolate and cheese? Yes please! ), celebrated festivals, and not to mention an endless array of inspiring architecture, delightful design lines, and world class art. On my third visit to Switzerland I made a promise to myself to visit the country’s tiniest region, Ticino. On my last two trips I’ve extensively visited the larger Swiss-German and French speaking sides of Switzerland. This time around I was keen to romance myself in Switzerland’s lesser known Italian Riviera. Lugano is Switzerland’s best kept secret. It’s Ticino’s largest city, which in the summer acts as an oasis for luxury travellers keen to soak up the sun all day while sipping Aperol Spritz’s into the wee hours. Visit Lugano to enjoy a slice of R&R and you’ll find a relaxed resort town which lives and breathes the Dolce Vita lifestyle. 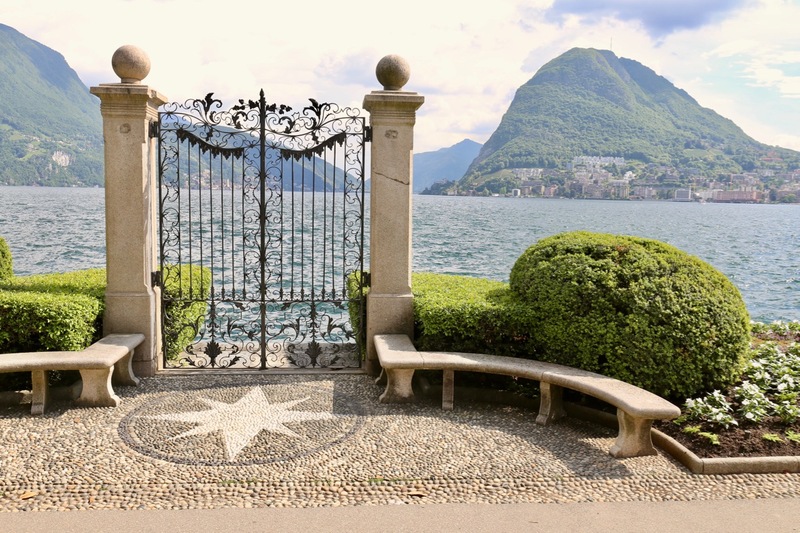 Lugano offers so much more than a beach retreat, the city is teaming with pretty patios, Italian restaurants which offer a unique Swiss take on taste, a recently launched art centre, and endless options for nature lovers on the hunt for a jaw dropping view or two. 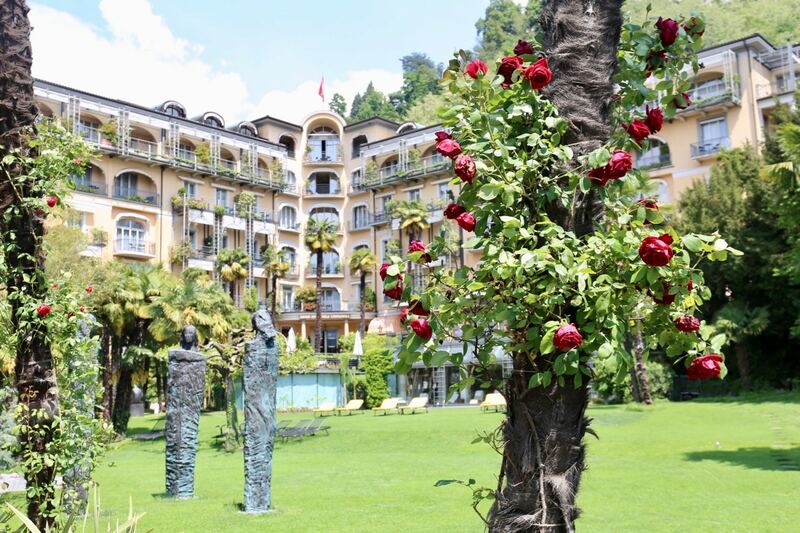 Set on the shores of Lake Lugano in the heart of Switzerland’s Italian Riviera, Grand Hotel Villa Castagnola is a magnificent 5-star resort nestled within a private, subtropical park. Once the home of a noble Russian family, the impressive mansion was transformed into a hotel in 1885. For the past 35 years the Zorloni family have infused the historic property with their own unique personality. Skip through the property and you’ll find incredible art, delightful designs, an award-winning food and wine program, serene spa, and suites fit for a King and Queen. 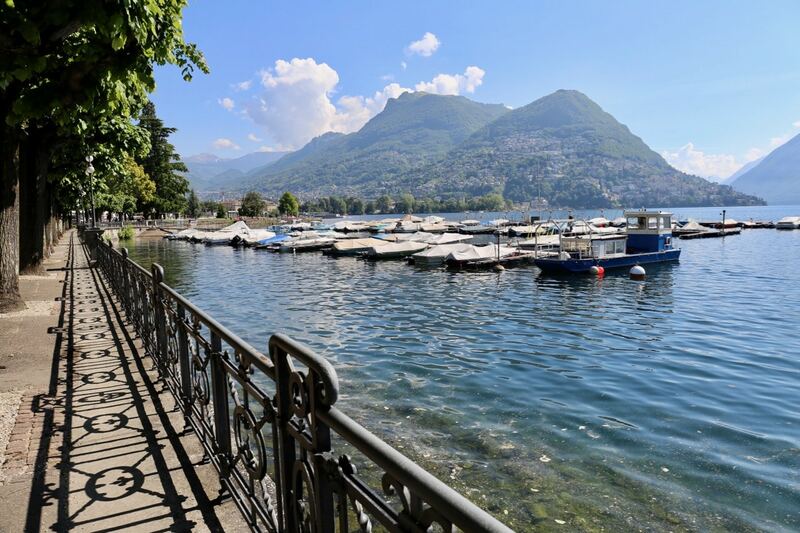 The best way to familiarize yourself with the layout of the land is to enjoy a stroll along Lugano’s waterfront. Locals love Parco Ciani, a lush green space featuring meandering paths, century-old trees, colourful flowerbeds, stoic statues and frothing fountains. 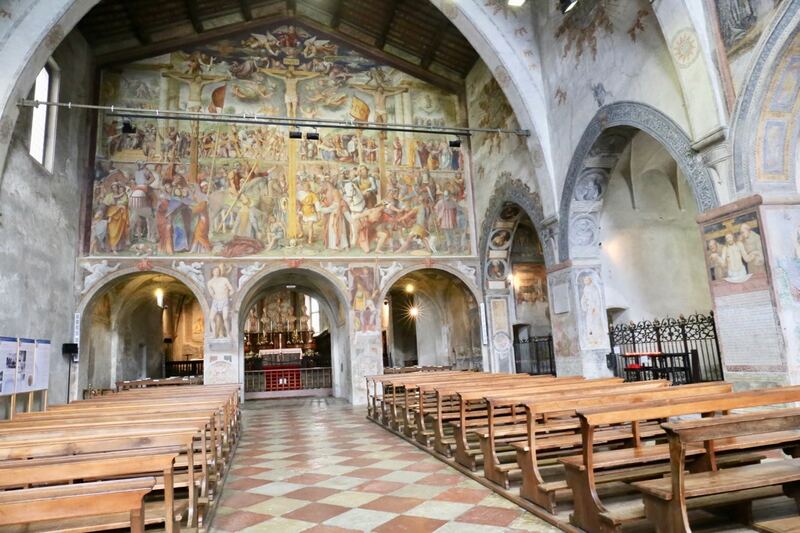 The church of Santa Maria degli Angioli, built between 1499 and 1500, was once part of the monastery of the Order of Franciscan Friars. Although its sober facade is nothing to write home about, step inside and you’ll see it houses a stunning early Renaissance masterpiece: the fresco of the Passion and Crucifixion by Bernardino Luini, a disciple of Leonardo, who initiated his career at the Abbey of Chiaravalle. 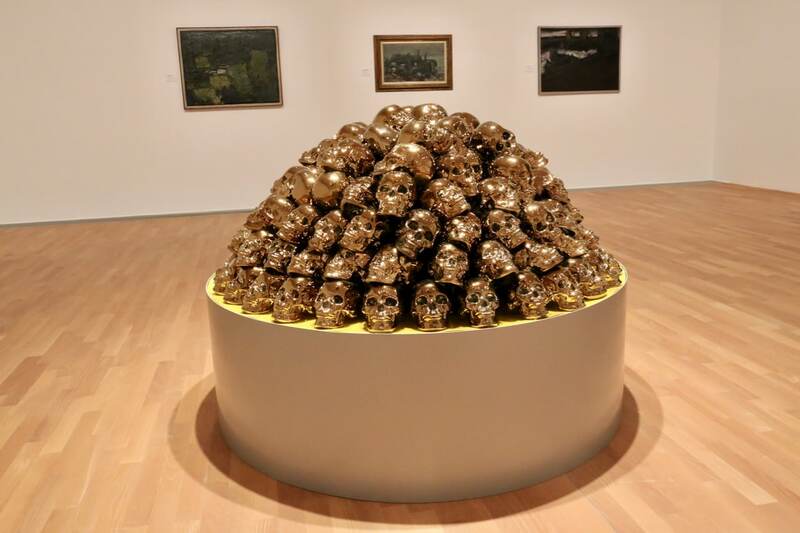 Recently opened in 2015, LAC Lugano Arte e Cultura is Ticino’s most celebrated destination for art lovers. The eye-catching museum was built by architect Ivano Gianola, and sits perched over Lake Lugano. LAC has become a social hub in the city and there’s no better time to visit than during aperitivo hour (just as the sun begins to set) as the al fresco bar fills with locals sipping fine wine and nibbling on crunchy balls of arancini. Inside you’ll find a theatre which hosts plays, musicals, dance and orchestra performances, as well as several floors of gallery space, which when I visited was displaying pieces from LAC’s contemporary collection as well as a special Picasso exhibit. If you’re looking to treat yourself to a fine Italian feast skip on over to Hotel Splendide Royal. The luxury property’s La Veranda Restaurant offers romantic views of Lake Lugano from its outdoor terrace, or step inside and enjoy an elegant gastronomic experience accompanied by white tablecloths and glittering chandeliers. Hotel Splendide Royal is a particularly attractive destination for wine lovers keen to tap into grapes grown locally in Ticino. The hotel’s impressive wine cellar features a diverse 500 bottles, with 150 painstakingly sourced by the sommelier from Ticino’s finest wineries. 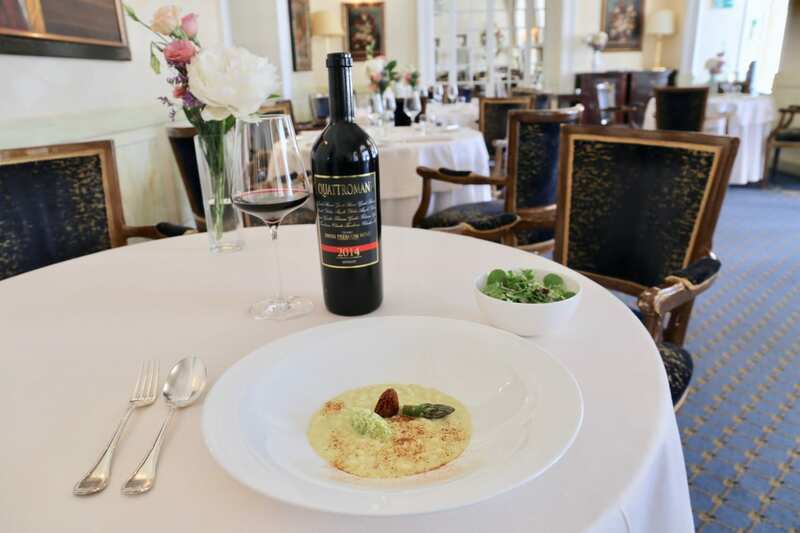 Chef Domenico Ruberto’s menu celebrates elevated Italian classics, such as creamy asparagus risotto topped with butter fried morel mushrooms, and a light dusting of liquorice powder. 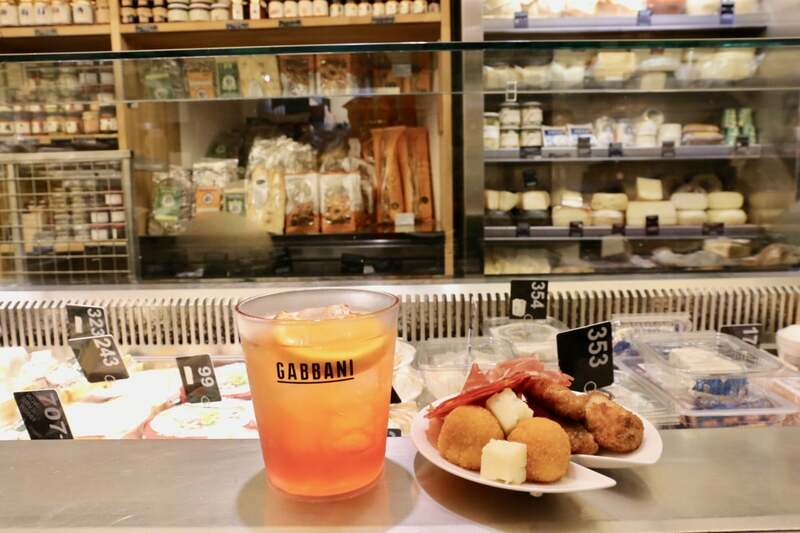 The best spot in town to enjoy aperitivo hour in Lugano is on Wednesday nights at Gabanni (from 6 to 9pm). The multi-faceted hospitality business has been run by a friendly local family for many generations and includes a boutique hotel, butcher, cheese shop, and wine store. Arrive on Wednesday night for a glass of wine or Aperol Spritz and you’ll find a free buffet featuring Italian nibbles such as charcuterie, cheese, arancini, pizza and chicken wings. No trip to Lugano is complete unless you’ve hopped on a cruise at sunset. 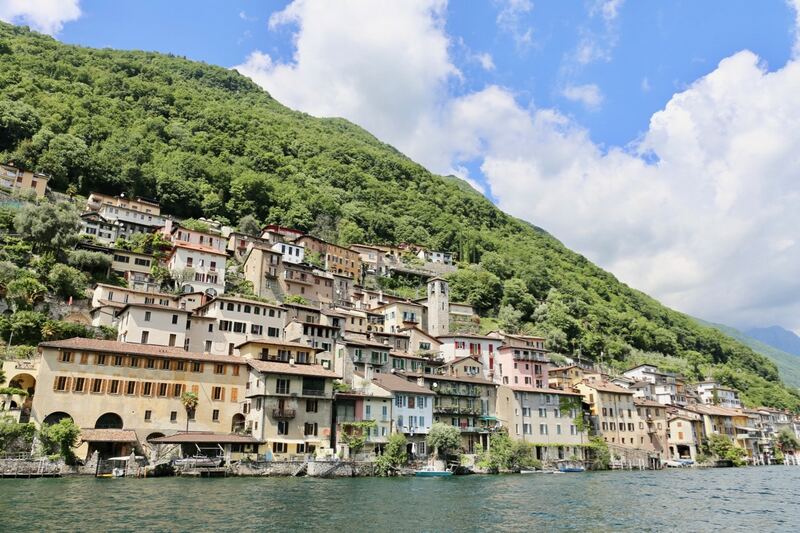 The 90 minute boat tours sail across the lake, making stops at postcard-perfect cliffside towns such as gorgeous Gandria. It’s the last Swiss village before the Italian border, located at the foot of Mount Bre. Before 1300 the village was located halfway up the slopes of the mountain (the ruins are still visible), while later the inhabitants moved to the lakeside. Until 1936, when the road was built, the village was accessible only by water, which is why the residents had to be self-sufficient: beyond horticulture, viticulture and livestock farming, the main activity here was fishing. Fashion fans looking to splurge are spoilt for choice when skipping along posh Via Nassa. 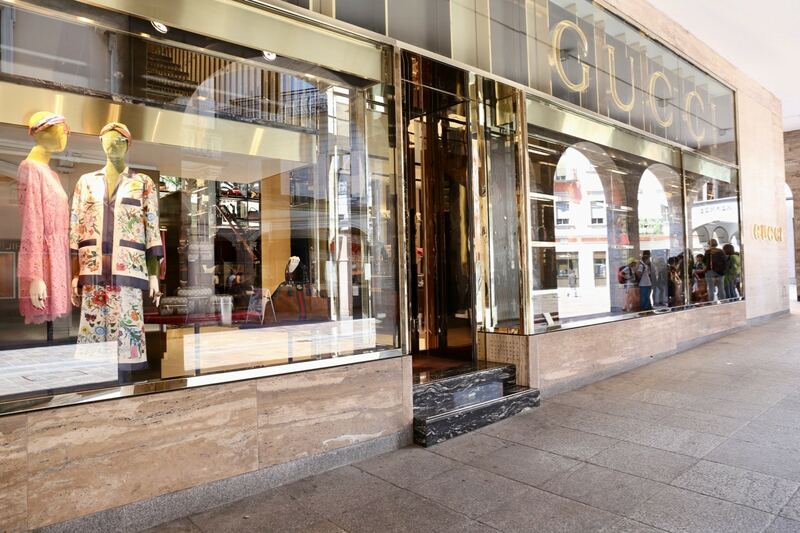 The luxurious promenade which cuts through the heart of Lugano’s downtown features beautiful boutiques by Gucci, Massimo Dutti, Hermes, Cartier, and Versace. 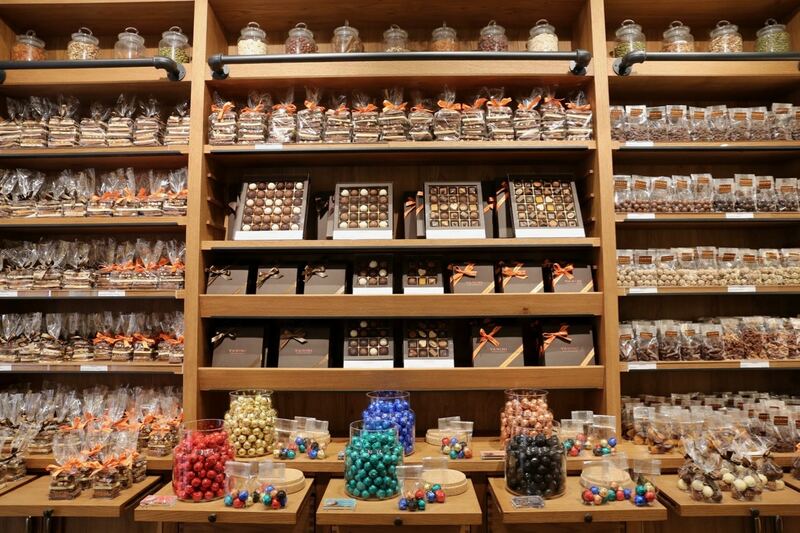 Chocolate lovers hop in line at Vanini Cioccolato, one of Switzerland’s most celebrated chocolate shops offering a distinctly Italian vibe. The family run business operates a petite cafe where you can enjoy a frothy cappuccino and scoop of gelato as well as a neighbouring boutique featuring classic truffles and Vanini’s must-try signature panettone and unforgettable Amaretti Kirsch (a chocolate covered almond cookie filled with cream and cherry liqueur). If you’re a lover of alpine hikes accompanied by jaw-dropping panoramic views Monte Generoso is just for you. Mendrisio is one of the most famous and beloved mountains in Ticino, surrounded by Italy on all sides. Up top visitors are blessed with views of the surrounding lakes, town of Lugano, Po Valley, and impressive mountains from the Apennines to the Gotthard massife. 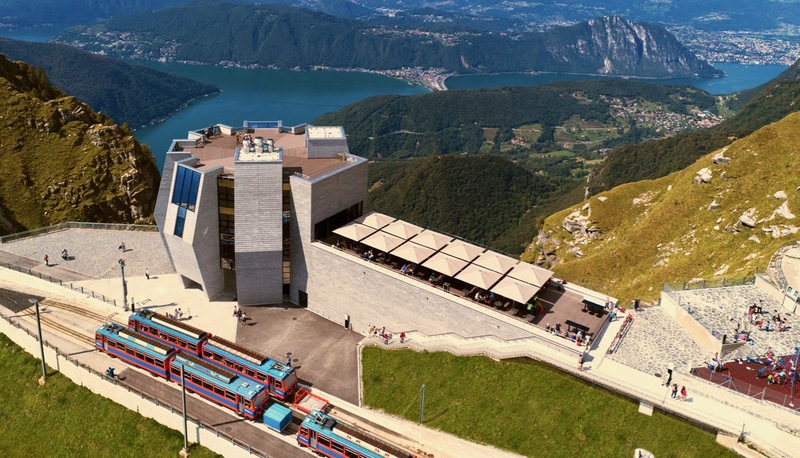 Day-trippers arrive to the mountain’s peak on a scenic cog train and are greeted by “Fiore di Pietra,” architect Mario Botta’s now iconic stone flower. The four-storey building features a rooftop terrace, elegant fine dining restaurant featuring floor to ceiling windows (you’ll gasp at the amazing views while forking through your pasta), and a petite gallery space which hosts rotating exhibits. Adventure seekers can enjoy alpine hikes along numerous trails, hire a mountain bike, or enjoy the hair-raising paraglide flight of your dreams.